Welcome to the SED (Significant Emotional Disability) Support page. Our goal is to create an online resource for parents supporting children with emotional/mental health disabilities. We have found many parents prefer on online resource for information — and have created this page just for you. We are currently developing an online support/chat group. STAY TUNED. 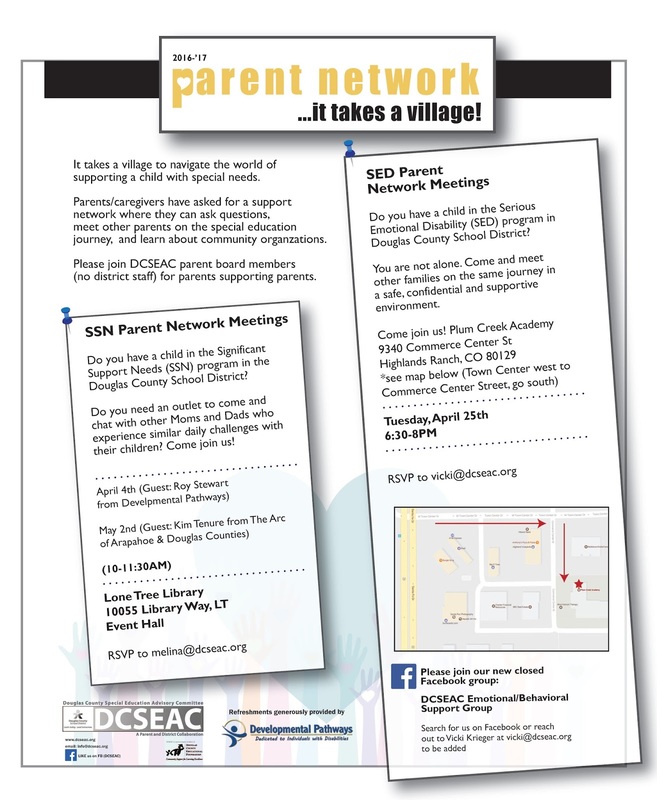 Please email us to be added to our new DCSEAC SED Parent Support Network group where you may ask questions about services to other parents just like you.